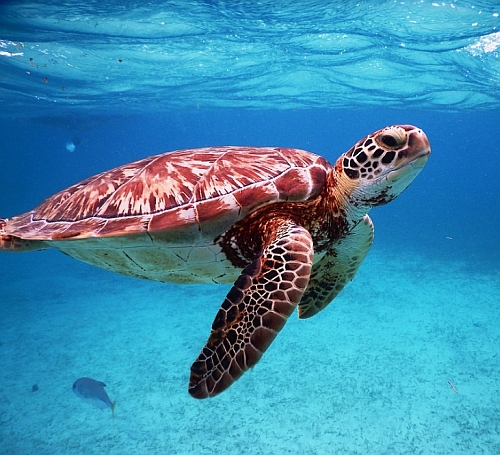 American Airlines has dropped the price of their flights from Toronto to Belize City, Belize (BZE) in January down to $314 CAD roundtrip including taxes. The flights have 1 stop each way, in Dallas or Miami. Delta is also showing a few flights in April, late September, and late October 2018 for $314 roundtrip, with 1 stop each way (Atlanta). 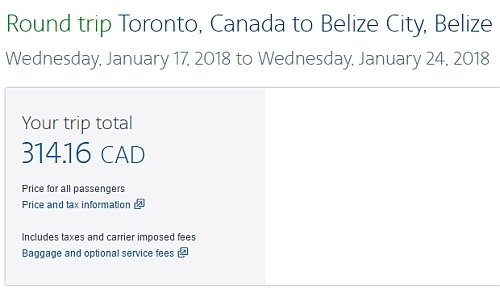 WestJet is showing a non-stop flight from Toronto to Belize in late December for $452 CAD roundtrip. It's a 2 week trip though (Dec 29 to Jan 12). Look for the dates that are $313 roundtrip. 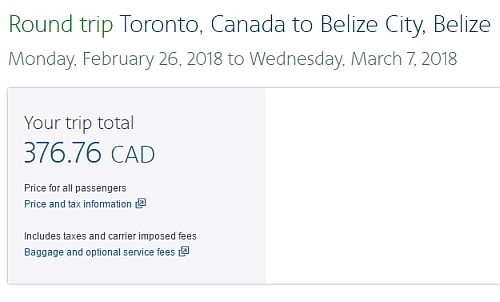 Google Flights: Toronto to Belize (non-stop on WestJet). - follow the instructions at the top of this blog post, and look for dates in September and October on Google Flights. 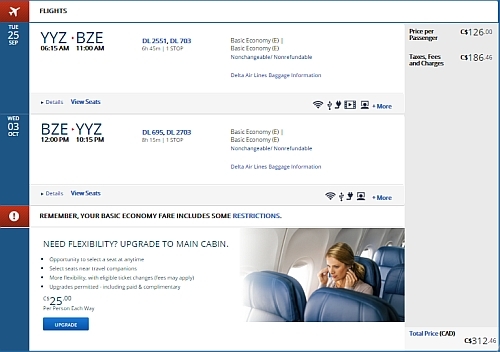 toronto, yyz, flight deals, american airlines, central america, belize, bze and belize city.